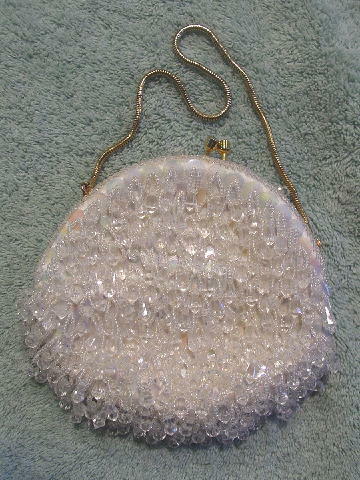 This rounded top vintage evening handbag was handmade expressly for The Broadway (department store) in the British Crown Colony of Hong Kong. 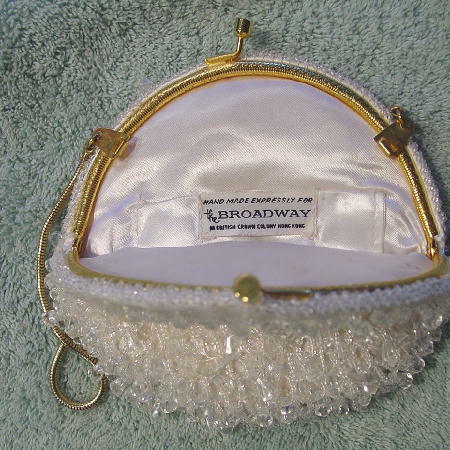 It has a somewhat padded white satin lining with a little open pocket. The bright gold-tone metal rim has an etched design and there is a gold-tone bypass closure. 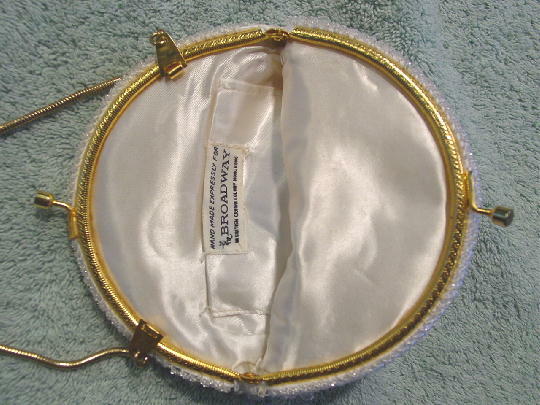 There is a 13 1/4" long gold-tone chain which can also be tucked inside. Along the exterior of the rim are tiny beads. 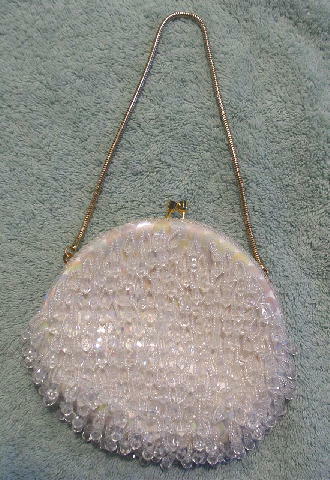 The exterior is white satin which is covered with large iridescent clear sequins that have tiny clear beads in loop-shaped strands. 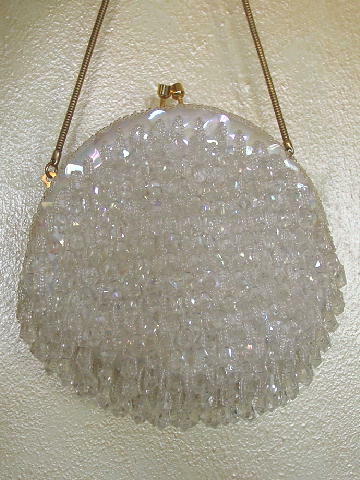 Extending downward from the center of each beaded loop is a large clear freeform crystal shaped bead. 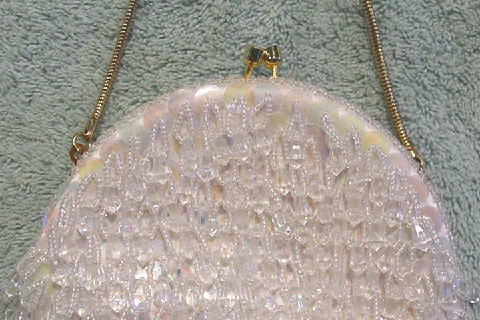 The lining has several tiny grayish color marks near the bottom. It's very pretty and nicely made with lots of detailing.